Italian social enterprises are not a new topic in literature. Several aspects e.g. theoretical frameworks, quality of work and job satisfaction, networking strategies, and the impact of the recent financial crisis, have been studied from many different perspectives in the last twenty years. Most of these contributions focus in particular on social cooperatives, as the most representative legal form of social enterprise in Italy. 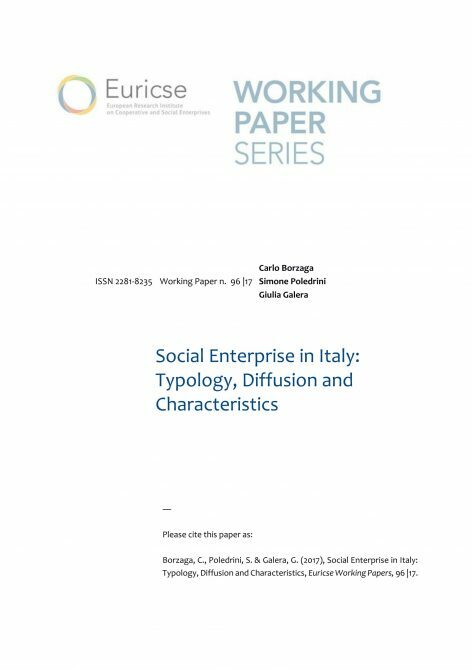 Therefore, the idea that has been spreading in literature and among scholars is that social cooperatives are the only example of social enterprise existing in Italy. Conversely, in recent years, new forms of non-profit organizations, that were traditionally based on volunteer and donor support, have started to operate as social enterprises, employing people and running commercial activities. This article*, which is one of a very few works that explore this topic, is intended to answer the following research questions: “How many different types of SEs are there in Italy?”; “How many SEs of each type are there?”; “In what ways and to what extent do they differ from each other?”. For more information about the project please visit this website.